I did see Melissa Etheridge in concert, I saw Sarah McLachlan in concert, I saw Paula Cole in concert, and Sheryl Crowe. All these amazing ladies had such an amazing outlet and place to play music, and it was really beautiful and I feel like that’s not really available anymore and that outlet isn’t there. We talk semi-jokingly but semi-seriously about making it happen. So stay tuned. I think that would be really magical. 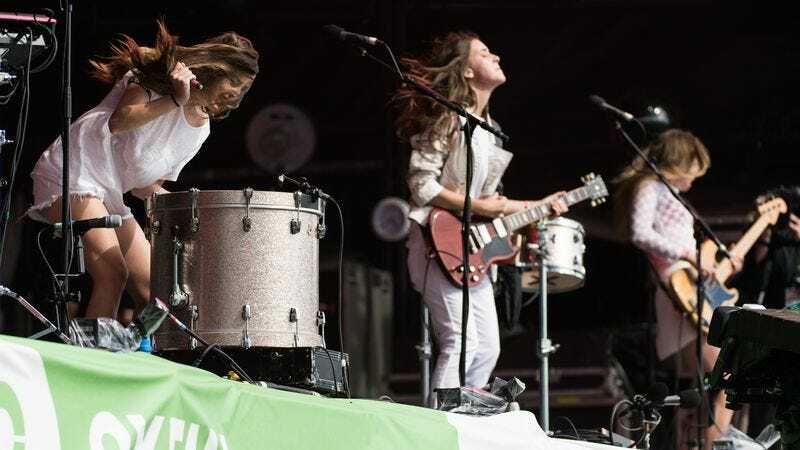 Among the artists Haim cites in her vision for a new all-female festival are Savages, Lorde, Florence and the Machine, Jenny Lewis, Chvrches, and, unsurprisingly, Taylor Swift, whose 1989 tour Haim is currently opening. (A Stevie Nicks solo set would also be highly appropriate.) Kathleen Hanna does not appear to have been mentioned in the interview, but should this idea go forward, expect her to appear as laid out in the Grrrl Code, Section 12.4.1: On the Awesomeness of Kathleen Hanna.